Hatch Detroit is pleased to announce the 2015 Comerica Hatch Detroit Contest winner, Live Cycle Delight, will open its new cycle studio this fall located at 8019 Agnes St. in Detroit’s West Village. 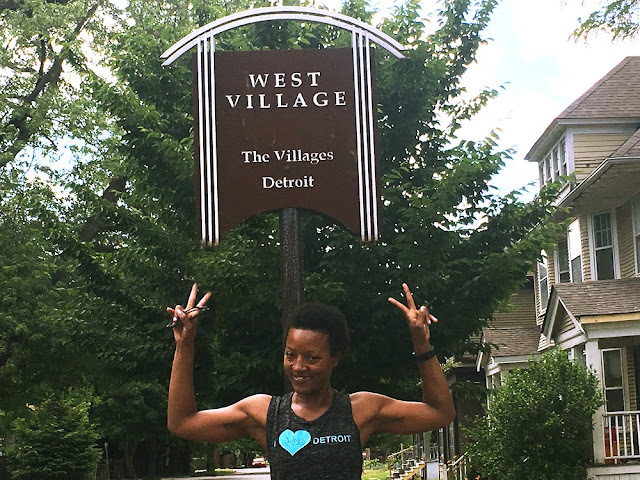 Live Cycle Delight will be the fourth contest alumni to locate in the West Village area and the first contemporary indoor cycling studio in Detroit. Live Cycle Delight will offer three types of indoor cycling classes ranging from 30- to 90-minute sessions with varying intensity levels. TRX conditioning classes will be scheduled daily between cycling classes to complement the cardio-intensive cycling. These conditioning classes target the body’s core strength and flexibility to improve balance and reduce injury risk during bike rides. Additionally, the company encourages outdoor bike rides by offering meet-up rides as an introduction to outdoor cycling safety, promoting cycling hubs throughout Detroit and continuing to expose Detroit as a bike friendly community. Live Cycle Delight will be open from 6 a.m. to 8 p.m. daily and plans to offer monthly memberships as well as student and corporate packages. For those thinking about testing the pedals, single spin classes and TRX Drop-in Delight classes will be offered as well. The company will also feature a state-of-the-art Bike Lounge encouraging outdoor riders to make Live Cycle Delight a start, stop or in-between ride destination. The Bike Lounge will have a tire pump station, lockers, Wi-Fi and water provided free for all members and class participants. Part of Live Cycle Delight’s Bike Lounge, will be a hydrate station filled with cold-pressed juices and healthy snacks available for purchase. Visionary entrepreneurs looking to follow the tracks of Live Cycle Delight have until July 15 to submit applications for the 2016 Comerica Hatch Detroit Contest, presented by Opportunity Detroit, for a chance to win $50,000 from Comerica Bank, and more than $200,000 in pro bono services including a $25,000 branding and design package from GTB (formally Team Detroit), a 30-second social media advertisement from MCCI, legal services from Honigman Miller Schwartz and Cohn and a package of accounting, IT, public relations support, and counsel from Hatch Detroit and its partners. As presenting sponsor, Opportunity Detroit will host the Top 10 Announcement Party and the Hatch Off event to declare the 2016 contest winner determined by public vote and a live pitch to a panel of judges on Aug. 26. Applicants looking to perfect their application before submitting to the contest are encouraged to register for one of the two remaining business planning workshops on June 29 or July 7 by visiting http://hatchdetroit.com/submission-workshops/. Complete submission guidelines and contest rules are available on www.HatchDetroit.com. The contest has garnered 1,400 business submissions with a combined 300,000 public votes that helped crown Hugh, La Feria, Batch Brewing Company, Sister Pie and Live Cycle Delight as contest winners, and assisted 14 other business storefronts in the cities of Detroit, Highland Park and Hamtramck since 2011. Comerica more than doubled its commitment for the 2016 contest, investing an additional $50,000 to help launch even more small business successes in Detroit and contributing $25,000 to the Michigan Women’s Foundation to establish a micro-enterprise loan fund offered exclusively to Hatch Alumni to help them meet short-term funding challenges.